“Recently I bought two used-old film cameras. After cleaning them I realized that the shutter speed could be lagged by the dust, corrosion or oil lack, so I decided to make something for measuring the real exposition time of any camera, because, by my bare eyes, I can’t measure it precisely.This project uses Arduino as the main component for measuring the exposition time. 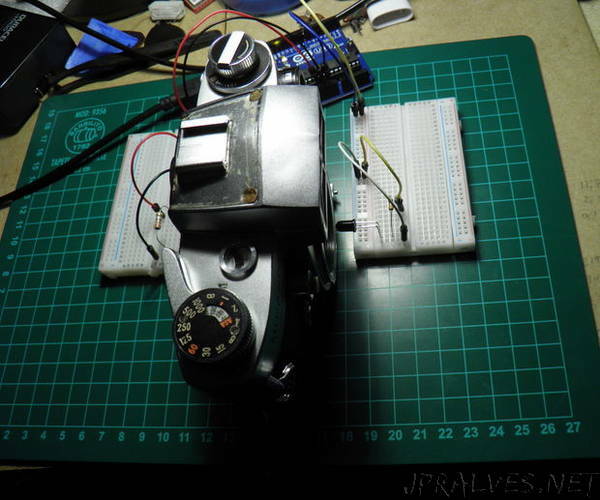 We are going to make an opto couple (IR LED and an IR photo-transistor) and read how much time the camera’s shutter is open. First, I will explain the fast way to achieve our goal and, at the end, we’ll see all the theory behind this project.